It’s always been a bit of a mystery how a child could carry a vast arsenal of medieval weapons, bombs, potions, and instruments in nothing but a tunic. But we might finally have an answer if it turns out Link’s shield was secretly always really a backpack. This officially-licensed Nintendo collectible from The Legend of Zelda: Skyward Sword ensures you’re prepared for any eventuality as you head off to class; be it a mountain of homework, or an attack from a bunch of electrified ChuChus. 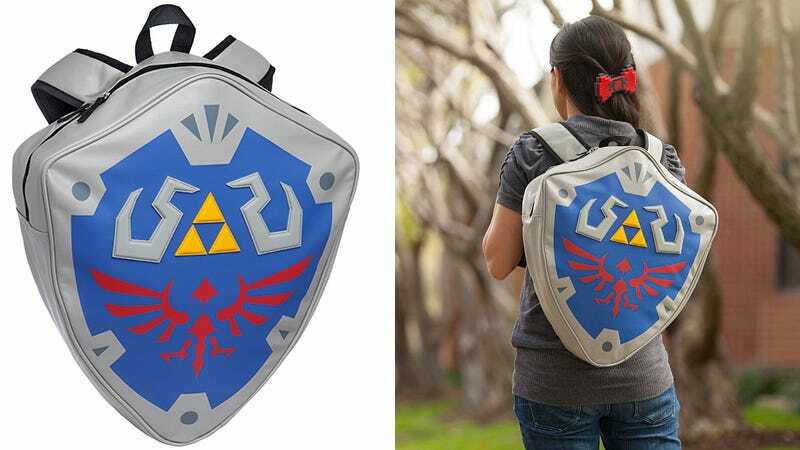 The $60 pack isn’t quite large enough to hold a master sword, but you can squeeze a laptop, tablet, and a few textbooks in there. Because knowledge really is the greatest weapon—unless you manage to find a boomerang.